Many people use Post-it to remember things and, due to this, have all kinds of notes around the house and at work, if you want to save some paper and be able to edit the notes that you usually use, you can resort to an application like PinWand, that can come in very handy, because it will allow you to fill up the desktop with small notes, that can be ideal for those people that are more absentminded. 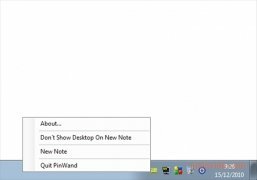 How this application works is rather simple, because you will only have to create the notes from the Windows System Tray, place them wherever you want, edit the text and minimize them, so that they don't occupy too much space on the screen. The program will give you the possibility to place the notes in front of any other application, in such a way that it is practically impossible to forget something that you have to do. The interface may not be as appealing as that of other similar applications, but it still has a rather nice aspect. 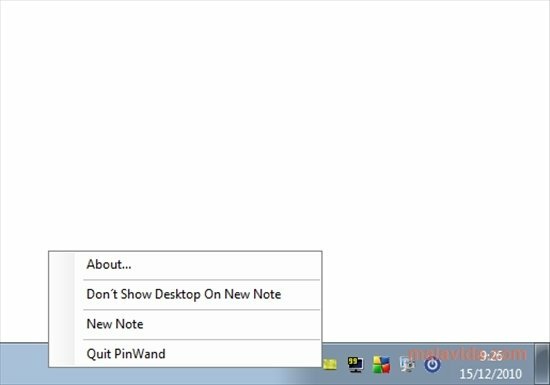 Discover one of the most simple systems to use Post-it on the Windows desktop, thanks to PinWand.